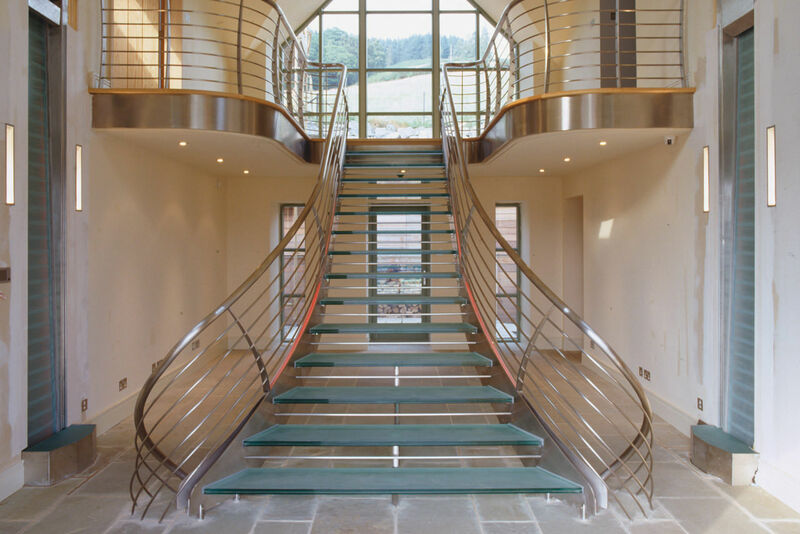 A truly impressive reception staircase in this grand house, formerly a cow shed, in the picturesque Scottish highlands. The photo fails to show the full majesty of this staircase which has an open water feature at its base and different coloured ‘mood’ lighting. Highly polished stainless steel stringers supporting with laminated glass treads spanning between and a stainless steel rail balustrading.